What does faith under fire mean? Does it have to do with the church or with us or both? 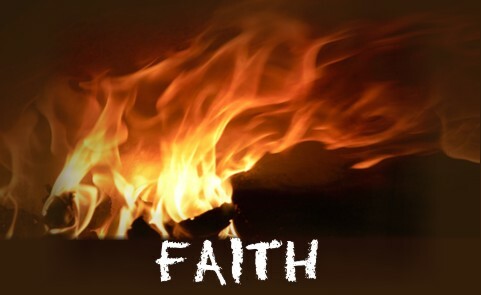 There is a movie series or television series called Faith Under Fire and was hosted by Lee Strobel that ended in 2005 but when you hear the term “faith under fire,” what does that mean to you? It doesn’t sound like friendly fire to me. It sounds like intentional harm aimed at people of faith, but which is the most persecuted faith in the world? Clearly it is Christianity, but it’s not only under fire symbolically, in some places it’s under hostile fire; with real guns! There are many places in the world were Christians have to meet underground because it’s too dangerous to worship God out in the open. Even with this, the state sometimes sends in spies to uncover their location and many are imprisoned, tortured, and killed. If that’s not under fire, I don’t know what is, but the term “faith under fire” may have even broader, global implications but may still reach right down to your local church, very soon. You could certainly say Abraham’s faith was under fire when God told him to sacrifice his one and only son of promise, Isaac. There is no mention of Abraham ever questioning God and he even got up early in the morning to start for a long trip to where Isaac was to be sacrificed. Unknown to Abraham, it was by “these things God tested Abraham” (Gen 22:1). All we know is that “Abraham rose early in the morning, saddled his donkey, and took two of his young men with him, and his son Isaac. And he cut the wood for the burnt offering and arose and went to the place of which God had told him” (Gen 22:3). Abraham raised his knife in order to sacrifice Isaac when suddenly, the angel of the Lord said, “Do not lay your hand on the boy or do anything to him, for now I know that you fear God, seeing you have not withheld your son, your only son, from me” (Gen 22:12). Abraham had survived the test of his faith. Perhaps Abraham knew that God would raise him up again, knowing that Isaac was the son of promise by which all nations of the world would be blessed (Gen 12:3). Many people have lost their jobs due to the fact that they wouldn’t break the law. Even if it meant there job, and it has, they wouldn’t compromise their values. Their faith was under fire from a financial stand point; however God knows that, better than they do. God expects us to do the right thing, no matter what the consequences are. We must obey God and not man (Acts 5:38). Sometimes a Christian can be an in-your-face Christian but Jesus never did that. Neither did any of the apostles. We are to be a light to the world but if you hold the light too close to someone’s eyes, it hurts, and they look away. That’s not evangelism; that’s being obnoxious. Plus, they are probably stealing company time by witnessing instead of working. That’s not a godly example to be sure. We are to work like we’re working for God and not for an employer (Col 3:23) and give it all we’ve got (Eccl 9:10). In this day and hostile environment of Christianity, even if a Christian does a good job, they might be fired for their faith and that’s certainly having your faith under fire. In the pluralistic and pragmatic thinking of society today, to say that Jesus is the only way to God (John 14:6; Acts 4:12) is to be considered narrow minded. I simply remind them that Jesus did say the road to life was narrow and difficult and maybe that’s why few will find it. We must “Enter by the narrow gate. For the gate is wide and the way is easy that leads to destruction, and those who enter by it are many” (Matt 7:13) because “the gate is narrow and the way is hard that leads to life, and those who find it are few” (Matt 7:14). It’s not so amazing there is only one way but that there is any way! That way must come through Christ (John 6:44). That’s why the biblically solid Christian has a bull’s eye on their back. Your faith is under fire too. If you’ve recently been under fire for your faith from work, friends, family, neighbors or whomever, you’re not alone. For one thing, “we do not wrestle against flesh and blood, but against the rulers, against the authorities, against the cosmic powers over this present darkness, against the spiritual forces of evil in the heavenly place” (Eph 6:12). We need a lot of help but God has provided that help in the full armor of God (Eph 6:13-18) but it is up to us to take it up and put it on (Eph 6:13). God will not do this for us. For sure, we must abide in the Word of God every day (John 15:1-7). This is the Bread of Life that can sustain you during times of spiritual famine and there is famine of the Word in the world. You might be the only Bible anyone will ever read. This is even more reason to hide God’s Word in your heart so that you won’t sin under fire (Psalm 119:11) but you will “always being prepared to make a defense to anyone who asks you for a reason for the hope that is in you; yet do it with gentleness and respect” (1 Pet 3:15). Next post: Who Does The Bible Call A Fool?